Trade show program providers are not created equal. Creatacor has proven excellence in managing the thousands of small details that ensure your trade show comes off as planned. Why would you trust your high-value programs to anybody who can’t promise you that everything will be where it’s supposed to be, when it’s supposed to be there, in working order and exactly as promised? Through thousands of trade show projects for hundreds of clients, Creatacor has proven time and again that the devil really is in the details of logistics! 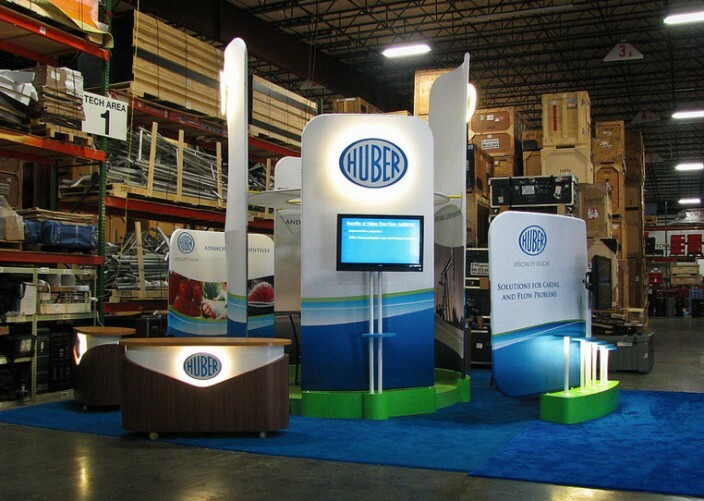 When you work with us, you know that your trade show exhibits will arrive on time, and that every precaution has been taken. Asset management. Our modern headquarters facility includes complete inventory storage for all of your components. Pre-show performance testing of structural components, computer & electrical systems and lighting for all exhibits. Crating, including Handle-Pack Load Out (HPLO). Shipping via trusted carriers who know trade show deliveries and get your product where it is supposed to be on time.